“When you see something like [Gelmor’s] showroom, the artist in you comes out.” – Helen Sánchez. In a sunlit showroom Helen Sánchez drapes a strip of black, corded Chantilly lace over a dress form’s shoulder. As it settles into place, embroidered flowers stand out against the torso’s fabric. Helen takes a knee and guides the Chantilly down across the mannequin’s belly. Satisfied, she lets go and picks up a sample of un-corded lace. The difference between the two is the details on one are outlined by hand using a heavier thread or cord, giving the flowers’ outlines a darker, three dimensional look. A pinch near the bust brings the two strips together and, for a few seconds, my mind’s eye stitches together a bodysuit or the start of a luxurious camisole. 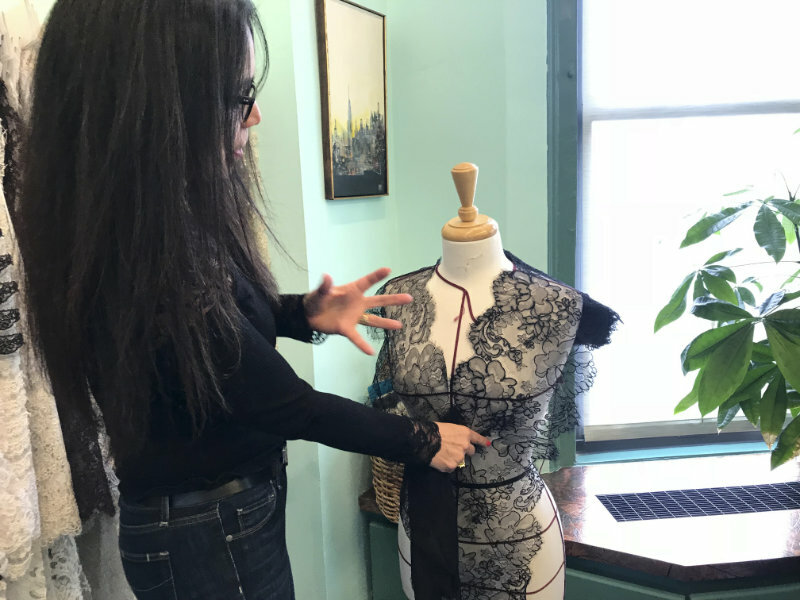 Whatever Helen wants to ultimately create, she’s in the right place – Gelmor Lace in New York City. “When you see something like [Gelmor’s] showroom, the artist in you comes out. You have all these colors and brushes that you want to play with. That’s how I see it. You just want to dive in and start creating.” said Helen of her first visit to Gelmor. For brands who want to learn more about Gelmor’s product, the company offers Lace Packets (printed visual samples) to qualified designers. 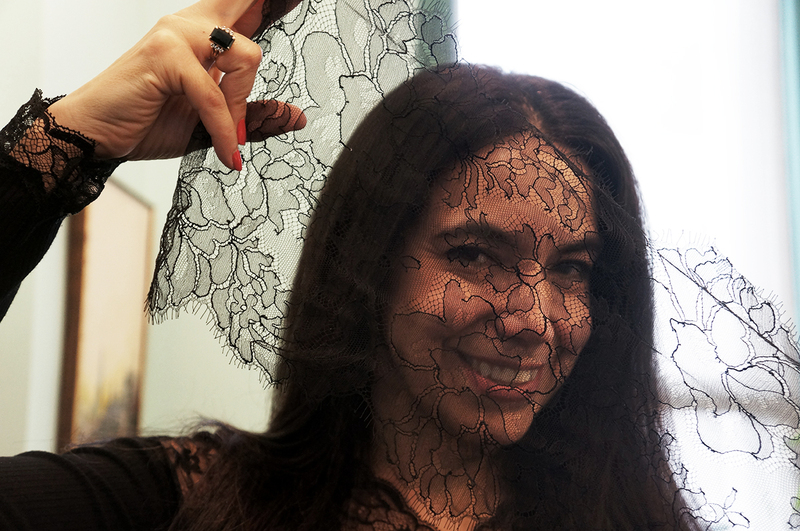 As you walk into Gelmor, you’re surronded by racks of lace, tulle and other samples. 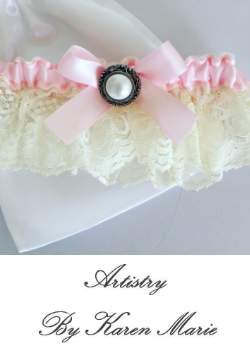 It’s an oasis of beauty for lingerie designers and anyone who appreciates lace, especially French Lace. 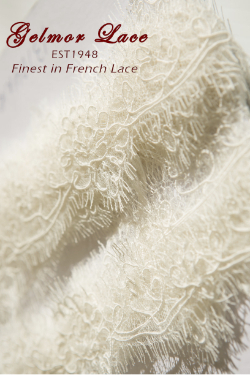 The company is one of the few US importers of lace qualified to carry the prestigious label “Dentelle de Calais-Caudry”. 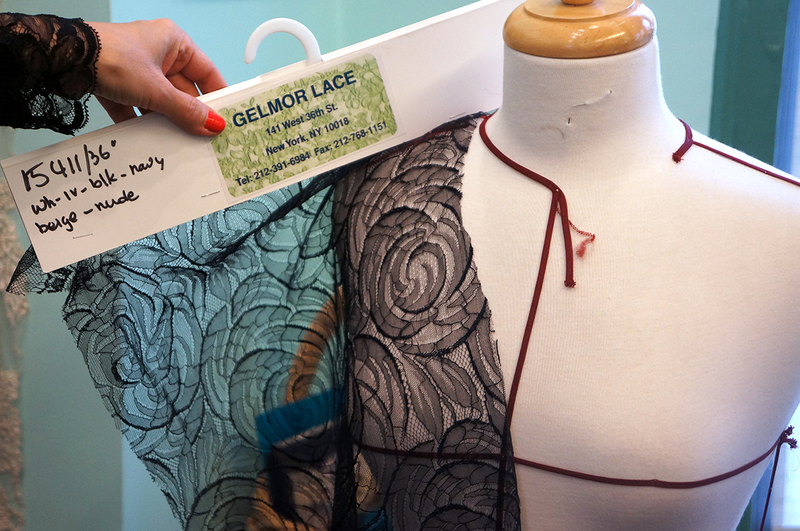 Gelmor’s showroom houses over 200 patterns and several hundreds of yards of lace. Guiding Helen were the company’s principles Marilyn Jacques and Hillary Hofer who provided a tour of the showroom, presented samples, talked about Gelmor Lace’s history and explained how they work with artists like Helen. Having no minimums and accommodating a designers’ hectic schedule by not making appointments mandatory is what drew Helen towards learning more about Gelmor and encourages her to stop by again. She also encourages other designers to stop by Gelmor. 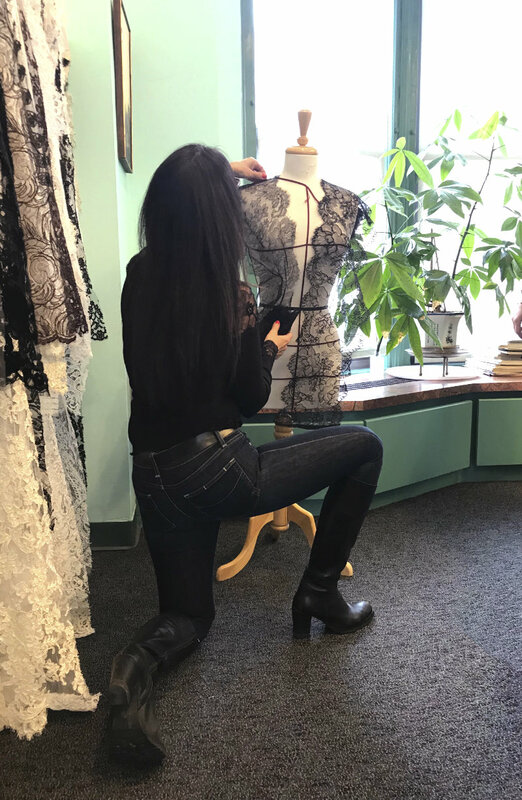 Attention designers, if you'd like to experience more of our lace and receive a set of XROXs of all of our patterns, please use this form to request a lace catalog from Gelmor Lace. 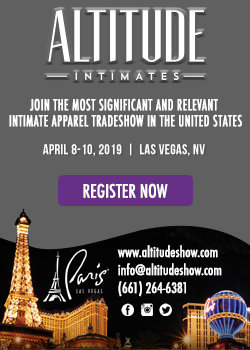 Please note, you must be involved in the creation/manufacturing intimate apparel industry to participate. The information you provide here is shared with Gelmor Lace and they will reach out to you to coordinate and to gather more information.